Some figures in the life of Ulysses S. Grant have been largely overlooked by biographers. Regardless of their influence on the individual, they become relegated to a “supporting cast” role to such an iconic figure. One of these individuals is rarely mentioned because, like Grant, he was not a self-promoter. This man was arguably Grant’s closest friend and confidant for over 20 years. A man who would grow to admire Grant in a different way than most, not simply as a national hero but as an intimate friend. This man was George William Childs. In 1829, Childs was born to impoverished parents in Baltimore, Maryland . He never mentioned his parents other than to say he was named for his father. Like Grant, Childs showed at an early age his willingness to work hard and support himself. At age twelve he worked as an errand boy for a bookstore during school vacations and later claimed his first hard-earned dollars were the most satisfying he ever made. At thirteen, the same time cadet Grant was studying at West Point Military Academy, he entered the Navy and served about 1 ½ years, but like Grant, he did not like the military life. After leaving the Navy, the independent young man moved to Philadelphia and took up work for a bookstore in that city. By age sixteen he proved himself mature and responsible enough to be trusted with trips to New York and Boston to acquire books. Childs would take to books and the written word as Grant took to horses. Childs, and Grant were very similar in that they both worked as hard as necessary to achieve something, without a thought of turning back. Indicative of this indomitable character trait, Childs admitted, “There have been times in my business career when everything looked discouraging, and many would have given up in despair; but I always worked the harder, and never lost hope." As Lieutenant Grant was fighting in the Mexican War, eighteen year old Childs struck out on his own, opening a bookstore in the Philadelphia Public Ledger newspaper building. Childs expressed his desire to one day own the Ledger. At twenty-one he and a partner Robert E. Peterson went into a publishing business together. Many doubted his choice of publishing the book Arctic Explorations, but Childs proved he had a knack for picking winners as the book was a resounding success. This and other successful publications over the next thirteen years led to him being able to fulfill his dream. In December 1864 he purchased the Ledger with the financial help of a Philadelphia banker who would become like a brother to him, Anthony J. Drexel. General Grant and George Childs first became acquainted when Childs sent him a letter requesting maps from his Vicksburg campaign in the fall of 1863. Early in 1864 Grant would travel east to take command of all forces giving him and Childs the opportunity to meet in person. Instead of a haughty hero, Childs found Grant to be “one of the most companionable of men; totally unspoiled by all the honors conferred upon him. He was simple, unaffected, and attached everybody to him.” George H. Stuart, President of the Christian Commission visited Grant at his headquarters at City Point, Virginia. During their meeting, Grant mentioned to Stuart that Mrs. Grant was having difficulty looking for an affordable home in Philadelphia. Stuart, upon returning to the city took up a subscription to purchase the Grant’s a home there. Childs would be one of the prominent subscribers and the home was presented to the Grant’s in early 1865. This would be only the first home that Childs would help provide the Grant family during their long and intimate friendship. Childs was able to perceive talent and surrounded himself with creative and talented authors, actors, musicians, poets and artists. He supported the famous poet Walt Whitman and befriended great writers like Charles Dickens and Ralph Waldo Emerson. It was through Childs that Grant would be introduced to many of the prominent men of the age. It was in his Philadelphia mansion built in 1872 and his Long Branch cottage that “the long list of the representatives of… genius and distinction… have shared in Mr. Childs' inexhaustible hospitality” In his Philadelphia home and office, Childs kept his indulgences, an impressive library of rare manuscripts, autographed portraits and an extensive international clock collection. Both Grant and Childs shared a desire to recognize those who had faithfully performed their duties. Childs provided pensions to ex-employees and gave large amounts of money to establish the Childs-Drexel Home (later Union Printers Home) in Colorado for destitute and disabled printers. Grant would acknowledge the role of the common soldier and advocate on their behalf to secure pensions and care for them and their families. In Philadelphia in 1877, Childs would watch as his friend Grant was inducted into the Meade Post #1 of the Grand Army of the Republic (G.A.R.) at his office in the Ledger building. The G.A.R. would grow to be the most powerful lobbying organization on behalf of veterans’ rights. Grant told Childs he would "Never desert a friend under fire." Childs did not desert his friend in his time of need. When Grant’s business failed, he took action. In December of 1884 Childs started a subscription for the relief of the Grant Family but they were too proud to receive it. He refused to give up and set his sights, together with Gen. Sherman, on securing Grant’s military pension. Childs used the influence of his paper to advocate for Grant being restored to his military rank and was with him on the happy day in March 1885 when the General received news that congress had approved the bill. It would be Childs that sat in on Grant’s earliest meetings about writing his memoirs in the summer of 1884. He would encourage his friend to take on the project and support him along the way. One thing that Childs excelled in was being able to read others and their true intentions. Knowing that Grant was “generous to a fault” and being a very generous man himself he was necessarily wary of schemers and would attempt to shield his friend Grant from those trying to exploit his generous nature. Childs admitted one of his friends’ weaknesses was that “he showed great tenacity in sticking to friends longer than he ought to have done.” Childs would come to the defense of his friend, leveraging the influence of his paper to dispute a claim that Grant’s aide Adam Badeau was secretly writing his memoirs. He admitted of Badeau that he “never did like him…” and that Grant had said one of the things that bothered him most was "to be deceived by those I trusted." When Samuel Clemons (Mark Twain) offered to publish Grant’s memoirs, Grant relied on Childs’ advice on whether to accept the contract. After careful consideration, Childs told Grant to go with Twain’s offer, helping to set up the eventual success of his book. Childs was there when Grant first felt his illness. He had his visiting physician Dr. DaCosta look at Grant’s throat while they were both in Long Branch in the summer of 1884. DaCosta advised Grant to see his regular doctor as soon as possible but Grant deferred. Their relationship being so intimate Grant felt open to share his innermost thoughts with Childs during his final illness. On their last meeting before Grant left for Mt. McGregor, the General confided in his friend: ‘Now, Mr. Childs, I have been twice within half a minute of death. I realize it fully, and my life was only preserved by the skill and attention of my physicians. I have told them the next time to let me go.’ Impressed with his friends resolve, Childs stated, “The General had great will-power, and the determination to finish his book kept him up. He quickly made up his mind that his disease would prove fatal, but he was resolute to live until his work was done. He said, ‘If I had been an ordinary man, I would have been dead long ago.’ Childs shared his view on Grant’s condition, showing the genuine concern of a deep friend: “He does not complain and bears his suffering with the bravery and courage for which he is noted, but for all that I know he suffers a great deal.” On April 23, 1885, Childs, wrote to Fred Grant, desperately trying to remain hopeful and showcasing his anxiousness to see his close friend. “We are all so rejoiced to hear of your dear Fathers continued improvement…We think of you all constantly, and wish we could be of some service in some way. Give our best love to your Father, and if he gets strong enough to take a little trip, we should be so delighted, to have him, and your Mother, and you, and Harrison to come to Wootton. It is lovely there now….All unite in love to you all." Grant’s doctors advised him not to travel to visit Childs in Philadelphia, which must have been hard on him. Longing to visit the beautiful Wootton to see his horses and his friends “genial face…filled with kindness” he remarked, “I regret very much that I had to disappoint him." Even if he couldn’t bring Grant to Wootton, Childs sent Wootton to Grant on a weekly basis in the form of flowers shipped from his greenhouses at the estate. At Grant’s funeral in August 1885, Childs would be numbered among the honorary pallbearers and visit with family and friends of the General to remember and console. 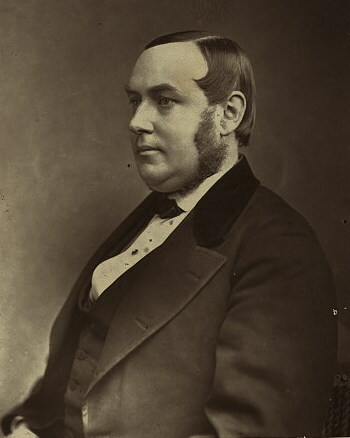 Childs remained a friend of the family supporting Grant’s son, Fred, in securing a diplomatic position in the late 1880’s. He also counseled Mrs. Grant on financial matters and helped her invest $135,000 after the sale of her New York City home. As a way to perpetuate the memory of his friend, Childs would contribute to multiple memorial projects such as a stained-glass window in the Methodist church they attended together in Long Branch. He would attend events, such as a birthday memorial dinner in Grant’s honor in 1888, where he sat and reminisced about his friend with General Sherman and other officers of the Civil War. Childs was in such high esteem in the United States by 1888 that he was proposed as a candidate for President, a prospect he would not accept. Like General Grant, Childs was reluctant to write of his own experiences, but as with Grant, he finally consented to do it for the benefit of others who desired it. Similar to Grant’s story, Childs first wrote a series of articles for Lippincott’s Magazine which were later developed into the book Recollections in 1890. Perhaps being involved in watching Grant lay down his story inspired him to compete the task. In 1891, Childs would help his old friend “Tony” Drexel in what would be his biggest legacy, the establishment of the Drexel Institute of Art, Science and Industry (later Drexel University). Like Grant, Childs saw the vital importance of education as a means to success and happiness and donated many of his personal collections to the institute. In 1892, Childs would make a trip out west and, like Grant on his world tour, be humbled by the enthusiastic receptions he received in all the communities he visited. That same year, twenty years after President Grant established Yellowstone National Park, Childs gave to the public a beautiful property of woods and waterfalls in the Delaware Water Gap named Childs’ Park (later George W. Childs Recreation Site). Childs would lose his great friend Anthony Drexel in the summer of 1893. Childs would suffer a stroke less than a year later and die within a few weeks at his home in Philadelphia under the care of Dr. DaCosta, the same physician that had first looked at Grant years earlier. Childs left behind his wife Emma, the daughter of his old business partner, and not having a child of his own left the Ledger to his godson George W. Childs Drexel. Grant and Childs were not men of words, but of actions. They allowed their integrity to be displayed through acts of compassion and generosity. They were humble men who started their lives as an errand boy and a tanner’s son, and never took their accomplishments for granted or flaunted what they had achieved. They were keenly aware of the struggle of the American citizen, giving the aid they deemed most helpful and appropriate to the circumstances. They were principled men of character not able to be “bought.” Their lives would serve as an example for others looking to strike a balance between success and service to humanity. In the end, their success and fame changed them little. Grant would still sit and chat with the lowliest of souls on a train, while Childs served as usher in his church on Sundays. They shared a mutual admiration and brought the best out of each other. Both were virtuous, generous, and unassuming men. Their friendship worked so well because they wanted nothing from each other but true companionship. Newer PostWhy Be a Grant Cottage Volunteer?